It’s fast approaching that time of the year again, ladies are full of anticipation and men are either blissfully ignorant or already feeling the pressure. However, contrary to popular belief, you don’t have to break the bank to save a broken heart this Valentine’s Day. Nor do you have to buy into the commercial aspect of the holiday to make your special someone feel happy. So how do you bring the romance without also bringing the large bills? Instead of spending big bucks on a weekend getaway, why not look for hotel specials in your local area? It saves you on the travel costs, and you can spend your time relaxing and exploring the parts of your area you’ve always been too busy for. Take the day off work. You and your partner can use some well-deserved annual leave to catch up on those sorely missed sleep-ins. You can make your partner breakfast in bed or go to a nice cafe, and spend the rest of the day catching up on your favourite TV shows. Don’t take your special someone to an expensive restaurant packed with other crooning lovers (hey the focus should be on your love story! ), make them a meal at home! You can decorate romantically but cheaply with candles, make their favourite dish and serve it with a nice wine. Or if you’re not to be trusted in the kitchen, find a local restaurant that serves take-out dishes for half the price, but double the romance when you’re all setup at home! Think mixed tapes on cheesy 80’s movies and make them a playlist on Spotify or burn them a CD. Nothing shows you care better than remembering “your song” and anything else that sparks memories. Whenever they listen to it they’ll think of you and how thoughtful you are! Don’t fork out on overpriced roses, pick some wildflowers instead. This will reflect the attractive element of adventure whilst still being the perfectly sweet and classic gift. Or even better, plant something for a memory that won’t die in a few days and will blossom every year! Re-create a past date. 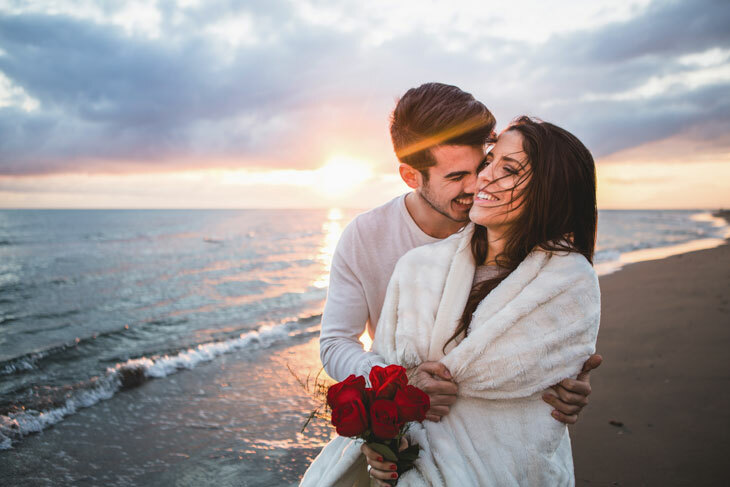 Whether it was the first-date at that dodgy Chinese restaurant or the Ten Pin Bowling you’re both terrible at, reliving distant but great memories says a lot more about the endurance of your relationship than a piece of jewellery or a trip away. Try something new together! Take a French cooking class or try Latin Ballroom dancing. It’s statistically proven experiences make us happier than material things, so why not create a memory together that you’ll never forget. Surprise them by doing that chore you know they hate for them. Whether it’s taking the rubbish out or cleaning their car, they will appreciate you thought of them. It’ll also give you more time to do something fun together instead. Make vouchers for your time! They can cash in vouchers for breakfast in bed, a massage, extra remote-responsible time, or a morning walk together. You’ll know what they love, maybe even better than them, so show them with these cute vouchers.